Aptharakshaka, the late 'Sahasasimha' Vishnuvardhan's 200th Kannada film is all set to hit the theatres. On the occasion of its release, the popular actor's family, friends, co-stars and colleagues take a trip down memory lane to present us Vishnuvardhan, the actor, friend, philosopher and guide. Appa (Dad) had a lot of expectations from Aptharakshaka. He had strained himself during a rally held to collect money for the North Karnataka flood victims. But he still insisted on dubbing for the film. He didn't want the unit to suffer at his cost. He was a very committed actor. At home he was either appa (dad), daada (grandfather), ejmanre (lord) or anna (brother). For me he was the only friend I ever had in the industry. He was there for me through my ups and downs. He thought more about others than himself. Yet people took him for granted and hurt him. That's why he started detaching himself from them. People then started having issues with his aloofness. They said he had become spiritual and kept to himself as he had many problems. But appa was a very happy man. He was attracted to Lord Krishna's character and of late had started spending a lot of time analysing the Bhagavad Gita. The Quran also fascinated him. He spent a lot of time on books and non-materialistic thoughts. Success and recognition hardly mattered to him. He was very happy till the end. He had planned to host a New Year's party for friends and had even renovated the lawn area, his favourite place in the house. Alas, he neither lived to host that party or attend my son's thread ceremony that he was so looking forward to. I wish the Aptharakshaka team luck. But I'm very unhappy that I was not involved in the project. Even Vishnu didn't insist that I be roped in. I mean, people liked us so much in Apthamitra. Talking of Apthamitra, I somehow felt that I was the only one who enjoyed its success. The film came with a good script and actors were paid handsomely, yet I felt that Vishnu didn't enjoy its success. But I am very thankful to him. I had made a film with Rajinikanth in Hindi and had lost a lot of money. 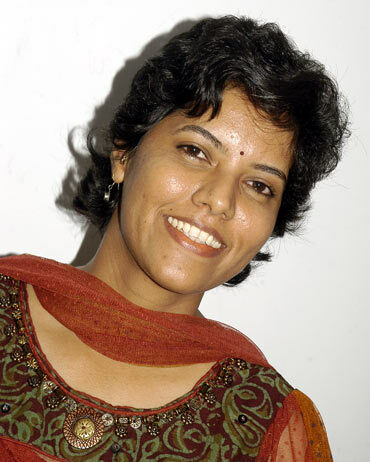 I was down in the dumps and it was Vishnu who helped me by acting in my production Apthamitra. Our relationship soured over the years, but I wish to remember the good days. I enjoyed Kannada cinema only because of Vishnu. He also had immense respect for my film making style. I have done many films with Rajkumar but it is my pairing with Vishnu that people remembered. Our comic timings was a hit. There was a time when we both went to a health club in Chennai regularly. Those were some of the best days of my life. I guess success got the better of us. I spoke to him 20 days before he died and for the first time I didn't recognise his voice. He had become weak. But still, I spoke to him about films and said that we should both shift to Mysore, our favourite place, and make one film a year. And like always he said, "You just speak about films and nothing else!" He had become a lot more spiritual. For me camera is God, but for him God meant something else. We had even had an argument in this regard while shooting for Apthamitra. Vishnu is just a memory now. My association with Vishnu Sir spanned over 15 years. I grew up watching his films and today it feels great to have worked with him. My first film with him was Neenu Nakkare Haalu Sakkare. He was the one who suggested my name for the role. He felt that my comic timing was good. Then there was our super hit number, Nam khadi sambhar andra nim khadi hang helodilla. Whenever we went for music shows together, people demanded that we sing that song. Even to this day people ask me to sing that song! In a nutshell, Vishnu was a source of constant support to me. He stood by me when my husband passed away while we were shooting for Tumbida Mane. He kept my mood peppy whenever I was on the sets. But he was at his naughtiest during the shoot of Aptharakshaka. I have never seen him so jovial before. He used to tease me and say that he wanted to know the secret of my dignity and composure. We also discussed a range of topics during the shoot. Yoga was our common interest. He even spoke to me about my experience in the Malayalam film, from which Apthamitra was based. I spoke to him some 20 days before he passed away in connection with an ad film that I was approached to do. The producers wanted Vishnu to be in that film. When I mentioned that this was for a cause and that Anil Kapoor and Nagarjuna had already agreed do the film in their respective languages, all he said was, "Honourable lady, I'll give it a thought as you have suggested that I do the film. Right now I'm undergoing treatment. I will come back to Bangalore and call you." He also promised to attend my daughter's dance programme. But fate willed otherwise. This is what Bharti amma told me on the day he died: "He had made a promise to you, I'm sorry he didn't keep his word"! 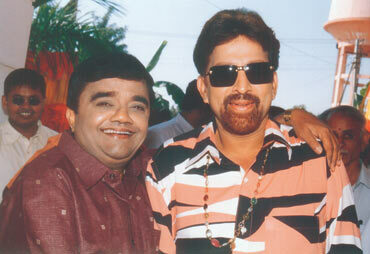 My first film Daada was with Vishnuvardhan. I have also acted with him in Apthamitra and Aptharakshaka. Over the years he had evolved as a person. Towards his last days, he seemed very enlightened. Vishnuvardhan was very helpful and caring. I've seen him support the needy. Even as a co-actor he was very helpful, disciplined and concerned. There was this scene where I was to fall into a well. He was very apprehensive about the shot. Given that there were talks of unusual incidents taking place on the sets, we held a pooja every day. Still there was this fear psychosis and he was particularly apprehensive about me falling into water. Finally we shot a part of the scene in a pool! The scene was a nightmare and I doubt if I'll want to be a part of a sequel, if made! Anyway, there is a lot of expectations from this film and I knew Vishnuvardhan was looking forward to this film. He told me that he was waiting to see how the film fares before doing more films. Vishnu sir was very excited about this movie. He was particularly curious to know how his new look would be received. During lunch breaks he insisted that the entire team eat together. I generally used to be by myself, but he made sure that I ate with everyone. He also saw to it that I was given better accommodation during the shoot. He was a very warm person. I have acted with him before in Deepavali and was also in a song in his Parva. He was humble and never treated anyone like a newcomer. In fact he used to give me tips on how to conduct myself in the industry. People's behaviour towards you depends on where you come from, he would always say. My interaction with him has been more as a journalist. I had gone on the sets of Parva where he called me aside and said, "You are a beautiful girl and you'll look better if you wear a bindi. Girls should wear bindi, it's our culture." I met him at a press meet a few days later and that day he noticed that I was wearing a bindi. He was very pleased. Vishnuvardhan was a very observant man. Vishnuvardhan treated me like family. I had even shifted near his place before he passed away. Aptharakshaka is one of his most awaited films and I have a feeling that this is going to be one of his landmark films. He had plans of acting in more films. He also wanted to direct a comedy for my banner.